Looking for something vintage and unique? 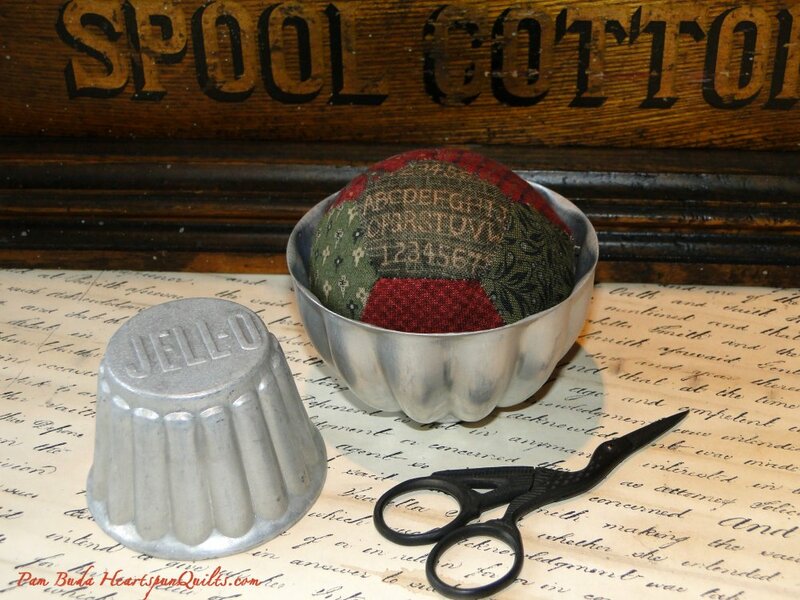 Create this charming pincushion by English paper piecing pentagons into a ball made to fit into a vintage Jell-O tin! The kit includes the pattern, the pentagon papers for English paper piecing, and the vintage Jell-O tin! All you need to add are your favorite fabrics! Please email me at pam@heartspunquilts.com for postage pricing outside the US. Please note: Because the vintage tins are so hard to find, limited quantities of this kit will be available.